Place an order for Holiday Challah. Available on Wednesday, Sept 4th and Thursday, Sept/ 5th after 10 am. All challah are round and fruited. Call to reserve one at 510-549-3183 ext. 4. 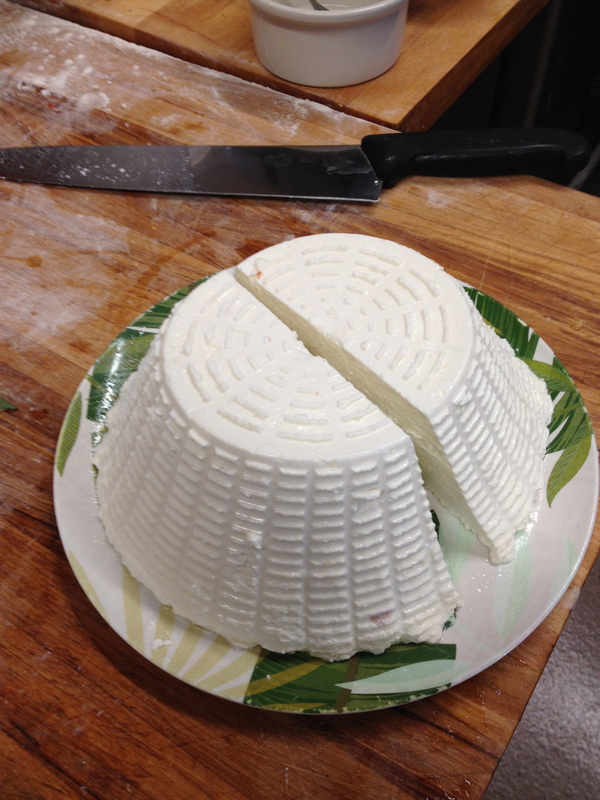 Make Ricotta and Mascarpone at the Cheese Board on November 6, from 7:30 – 9:30. Join the San Francisco Milk Maid for a ‘Pre-Holiday’ cheese lesson on homemade ricotta and mascarpone. In this class we’ll cover the nitty-gritty of whole milk, whey or part cream ricottas. We’ll talk about ways to tweak your ricotta to make it the center piece of a cheese board or the key ingredient in hand-made ravioli. Learn how to switch out lemon juice for vinegar or even buttermilk. Then, as the cherry on top, learn a recipe for the most decadent member of the cheese world: mascarpone. Tickets can be purchased at Buy tickets for Make Ricotta and Mascarpone at the Cheese Board. Join us at the Cheese Board Bakery for an evening of cheese making on October 9, 2013. 7:30 pm to 9:30 pm. Join the San Francisco Milk Maid for a class on transforming goat’s milk into either a crumbly, fresh chevre or a step beyond that. 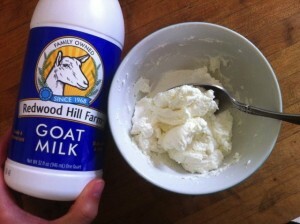 We can transform the same recipe into your very own fuzzy, ripened goat cheese. We’ll cover basic steps of cheesemaking, essential equipment and where to find a special ‘rind ripening’ fungus called Geotrichum. Learn which milk to buy and how to best age your fresh cheese puck into a fragrant finale. Tickets can be purchase at Buy tickets for Make Goat’s Milk Cheese At The Cheese Board.